Patrón En Lalique: Serie 2 is the second coming of an extraordinary collaboration between the masters of French crystal and the masters of fine tequila. The limited-edition crystal decanter features an Art Deco style with many of Lalique's signature techniques incorporated, representative of Patrón's handcrafted process. 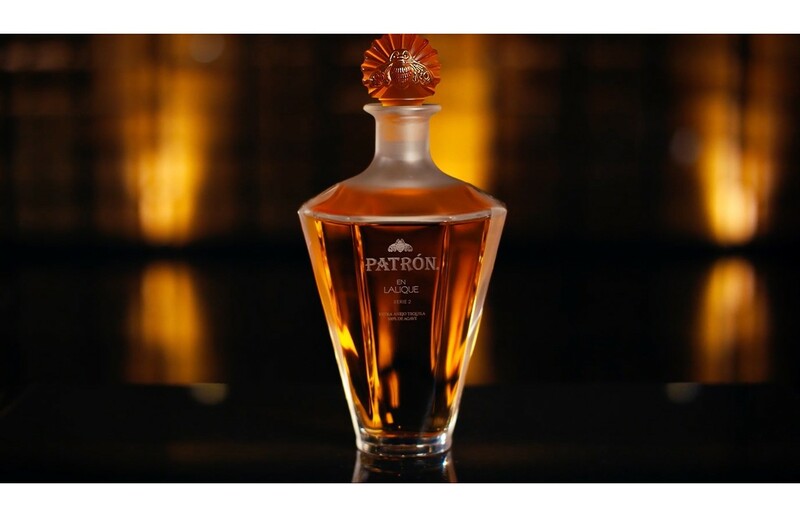 The tequila inside is aged for 8 years in a combination of American oak, French oak and sherry barrels to produce notes of sweet honey, fruit and light agave with a long lasting finish. Enjoy Patrón En Lalique: Serie 2 neat in a tequila flute or snifter to truly appreciate the nuances of this extremely rare aged tequila. Patrón Tequilas are handcrafted at the Hacienda Patrón distillery in Jalisco, Mexico where people are the heart of the process, one that has remained the same since the very beginning. First, skilled jimadors uproot only the finest 100% Weber Blue Agave with the perfect sugar content and transport the heart of the plant to Hacienda Patrón where they’re hand chopped, baked and then crushed by a two-ton volcanic stone tahona wheel and a roller mill. The spirit is then fermented, distilled in small batch copper stills and placed in a combination of American oak, French oak and sherry barrels to age for 8 years. It's then blended to perfection by a talented team of distillers.